Extending your outdoor area with a decking not only gives you extra room for entertainment and everyday living but will improve your way of life and add value to your home. 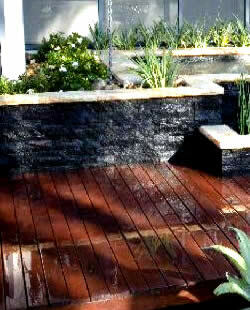 We will supply and build a timber decking that suits your needs. Incorporating a timber garden decking with your landscaping project is the perfect way to complete that serene feeling of natural beauty. Design ideas are endless and our friendly staff are are only too happy to help you create a design to complement your lifestyle and budget.